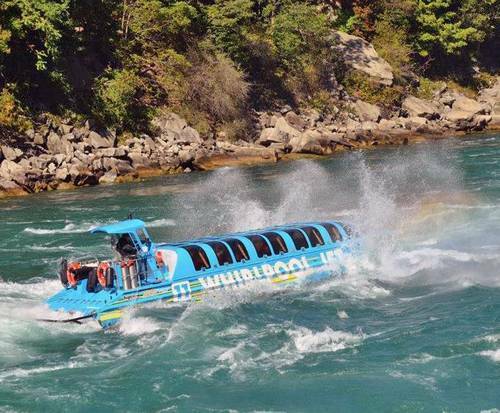 Enjoy the absolute thrill of a white water ride on a Whirlpool Jet Boat without the worry of getting wet on this fantastic and equally scenic Jet Dome tour that will take you to the world famous whirlpool basin, along the Niagara Gorge and Lower Niagara River, and so much more! Work your way through Class 5 white water from the dry comfort of an entirely enclosed Jet Boat, allowing you to experience the excitement of rafting through the rapids without the hassle of getting soaked to the bone. You will be provided with all of the necessary equipment needed for the tour, including a headset that lets you comfortably hear your knowledgeable tour guide as they give commentary on the scenery, history, and geography of the area around you, as well as pointing out certain landmarks and points of interest along the way. 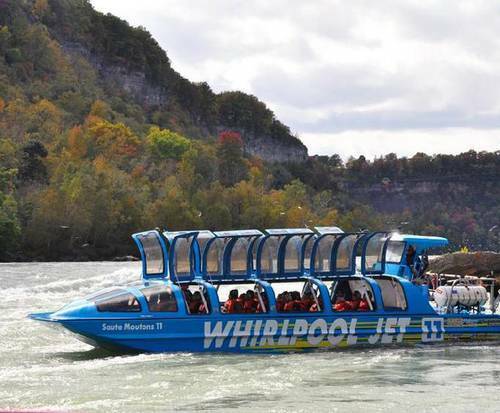 If you have been wanting to take a Jet Boat tour, but aren't sure if getting wet is the way to do it, this Jet Dome tour is exactly what you're looking for ! Bring along the entire family for an adventure you won't forget for years to come, and don't forget to bring your camera to capture some of the excitement along the way. 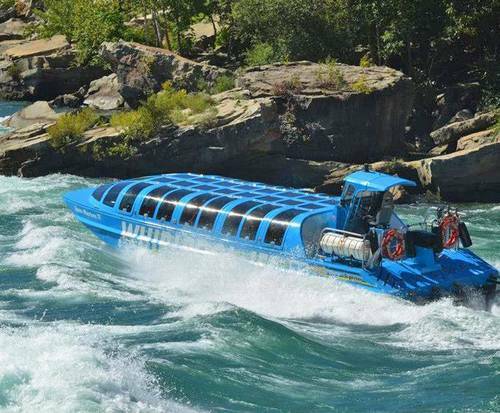 This tour is the perfect addition to any Niagara area vacation or getaway, and is a fantastic option for nature and thrill lovers alike! Niagara Gorge - Carved by the Niagara River along the US-Canadian border, this nearly 7 mile long gorge begins at the base of Niagara Falls and continues until it reaches the Niagara escarpment. The force of the current is one of the most powerful in the world, and personal water activities such as kayaking are generally prohibited. Views of the Niagara Gorge, canyon walls, whirlpool, and more. Informative commentary from your guide about the geography and history of the area. All necessary equipment is provided, including life jackets and headsets. Follows the same route as the uncovered Jet Boat tour, without getting guests wet. This tour was awsome, we never experience anything like this before. We had a great tour guide and boat captain. They both shared some of the local history of the falls and pointed out some sights of interest. The captain of the boat stopped several times for people to get some photos as the view was spectacular. "This was worth the trip!" This was worth the trip!!! Jet tour people were Outstanding! We changed from the dome boat to regular boat...Outstanding! We had fun. It was kind of confusing finding the meeting place, had to call and get directions. The guide was excellent. She seemed so comfortable and flexible in her delivery. Everything else went very well .. They took pictures and video but never told us how to access them ?